Sutton Council has been announced that the draft Cycling Delivery Strategy for the borough will be open to consultation between 17 July and 7 September 2015. In support of this, and in order to consult as widely as possible, a workshop is to be held on Thursday 23 July in Meeting Room 1, Sutton Civic Offices, starting at 6pm and finishing by 8pm. This is going to be an exciting and high-profile event, as it has been confirmed that Andrew Gilligan, the Mayor’s Cycling Commissioner, will be taking part too. To start the proceedings, Get Sutton Cycling will be presenting Sutton’s Space for Cycling petition to Council Leader Ruth Dombey. If you would like to attend the workshop please let Sutton Council know, so that they have an idea of numbers. Either send an email to Roz Morrison, Senior Business Support Officer, at roz.morrison@sutton.gov.uk. Alternatively, drop us a line at getsuttoncycling@gmail.com and we will pass the information on. As detailed in the Notes from our November 2014 meeting, Get Sutton Cycling secured a commitment from the Council in September 2014 for the production of a report outlining the borough’s strategic position on cycling. We understand that the draft strategy will be made available in the days leading up to the workshop, and we very much look forward to engaging with the consultation process. Will Sutton’s draft Cycling Delivery Strategy provide sufficient clarity to point the way towards a better cycling future? 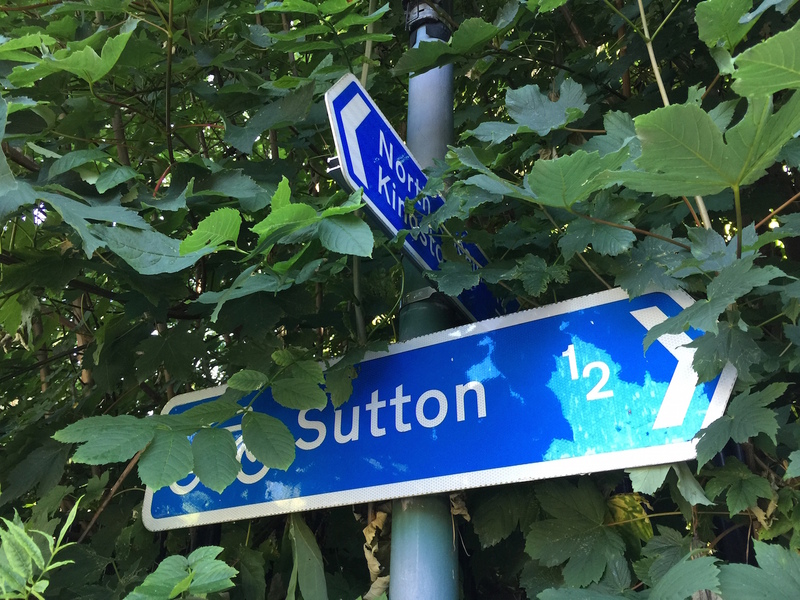 For more background on the strategy, see our March and June 2015 updates available on the Newsletters page and the post Consultation expected imminently on Sutton’s draft Cycling Strategy. These objectives look encouraging, with some directly resonating with the principles behind the Space for Cycling ‘ward asks’. Nevertheless, the strategy will need to provide sufficient evidence to suggest that the objectives will be met, and will have to “get out there” (not simply fade into obscurity). Talking about fading into obscurity, and on a less positive note, the news item erroneously states that a new Sustainable Transport Strategy was published by the council last year. Although the draft strategy was published in November 2014, with the consultation period closing a few weeks later in January (as noted in Get Sutton Cycling and the draft Sustainable Transport Strategy), the final strategy was not approved by the Environment and Neighbourhood Committee until March this year. A minor point, perhaps, but worth noting because, four months later, the strategy documentation is still not available on the Council’s website (beyond forming part of the printed minutes of the Environment and Neighbourhood Committee meeting on 19 March 2015). To all intents and purposes, therefore, it could be said that the final Sustainable Transport Strategy has yet to be published as of July 2015.